Photogrammetry and Photo-Interpretation. Remote Sensing and Stereoscope. Photogrammetry, the science of taking measurements from photographs or other types of images to make physical maps, including topographic maps. Photogrammetrists generally use photographs taken by a special camera on an airplane. Distortions in the pictures are corrected using a stereoscopic device called a stereoplotter (Stereoscope). The stereoplotter creates a three-dimensional image by combining overlapping pictures of the same terrain taken from two different angles. Contours, roads, and other features are then traced from the three-dimensional image to form a map base. Photo-interpretation deals with the examination of photographic images for the purpose of identifying objects and deducing their significance. Stereoscope, optical instrument, through which one may view photographs of objects not merely as plane representations, but with an appearance of solidity, and in relief. The stereoscope is essentially an instrument in which two photographs of the same object, taken from slightly different angles, are simultaneously presented, one to each eye. Each picture is focused by a separate lens, and the two lenses are inclined so as to shift the images toward each other and thus ensure the visual blending of the two images into one three-dimensional image. Stereoscopic aerial photography permits three-dimensional representations, which can be used in the preparation of contour maps. The science of making extremely precise measurements of height, area, distance, and volume from aerial images and using these measurements to create detailed physical maps is called photogrammetry. Remote sensing. A remote sensor is an instrument that gathers information about an object or area from a distance. 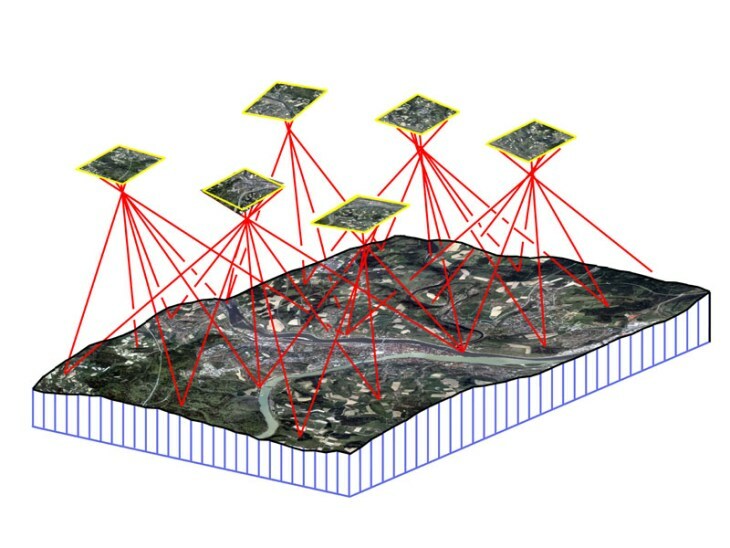 Typical mapping cameras use large-format film capable of resolving objects only a few meters or feet in width from altitudes of more than 19 km (12 mi). Clear Felling System – A Detailed Note. Why do tropical evergreen forests not shed their leaves?